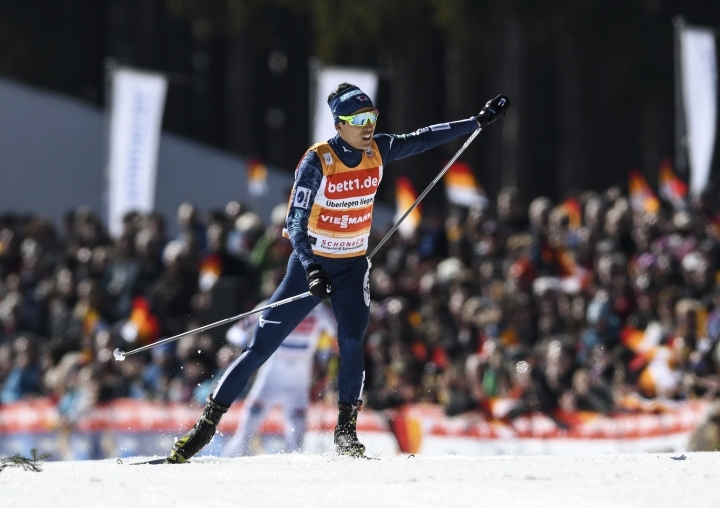 SCHONACH, Germany — Overall winner Akito Watabe claimed his seventh World Cup win of the season in nordic combined skiing on Saturday. The Japanese athlete was 11th in the ski jump and had to contend with a delay of 1 minute, 4 seconds for the cross-country race. But he completed the 10-kilometer course in 25 minutes, 3.2 seconds to finish 6.3 seconds ahead of Norway's Jarl Magnus Riiber and 8.5 ahead of Austria's Bernhard Gruber. Riiber won the ski jump with 120.7 points. Watabe, who already had an unassailable lead in the standings, has 1,395 points ahead of the season finale in Schonach on Sunday. Norway's Jan Schmid is second on 1,093, followed by Germany's Fabian Riessle on 1,027.